When I took this picture, I was not sure what kind of birds they were. 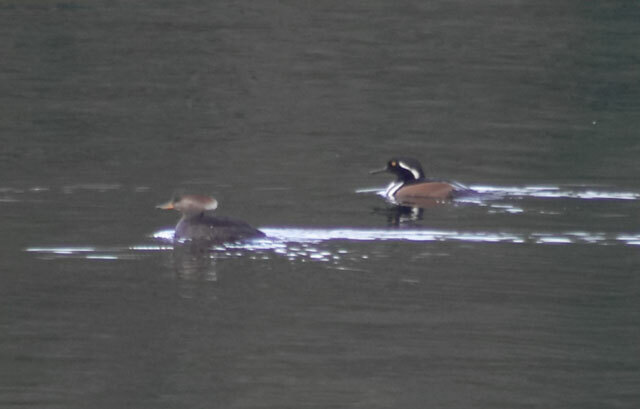 Previously I had seen a hooded merganser with its crest raised. Upon looking through my books when I got home, I was able to see that what I had taken a picture of was a pair of hooded mergansers.